Please call before to check what's in stock. New birds regularly. Cook's Farm Shop & Country Supplies is a family run business. My Father & I have a large selection of happy, healthy P.O.L Hens all fully vaccinated and ready to go. We have everything you will need, all under one roof, feel free to come and have a browse. Our helpful friendly Staff are always on hand to offer any advice or assistance. We always recommend calling first to check availability. 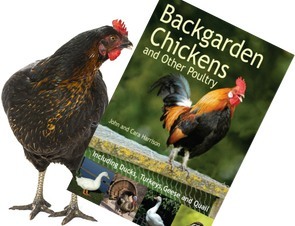 We offer a variety of point of lay chickens, feeds & supplies. If you are going away on holiday, we also offer boarding so you don't need to worry about your hens whilst you are away. Selling Fully Vaccinated Hyrbid and Large Fowl Point of Lay Hens. Over 8 Breeds available. Dependent on the time of year we have a range of quality breeds available at different ages. Please contact to see what we have in stock.